When it comes to Thanksgiving Day style, I like to be stylish, cozy, and comfortable, so that I can take a nap on the couch at some point, I don’t want anything confining or fussy. 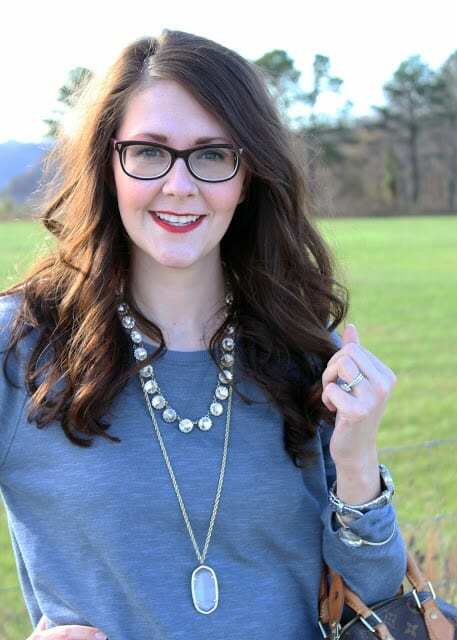 So this week, I’m sharing two Thanksgiving outfits that mean all of my requirements. 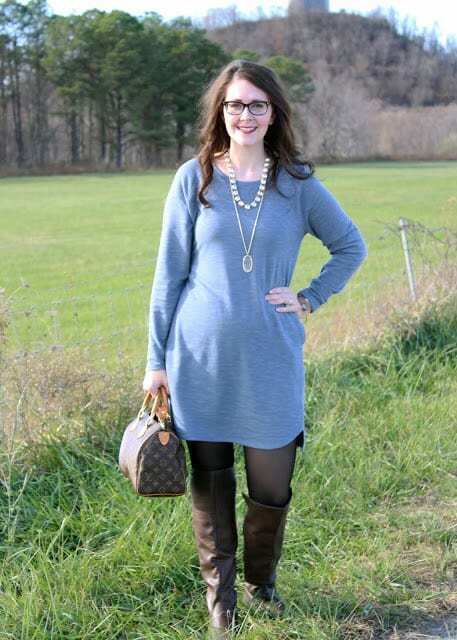 First up is this sweater dress and over-the-knee boots. This dress is a great color for the season. While the color is called thundering gray, it definitely has a blue tint to it. I selected this dress because the material is like a sweatshirt, and it’s thick enough to keep you warm. I actually sized up so that I could get a little extra length. 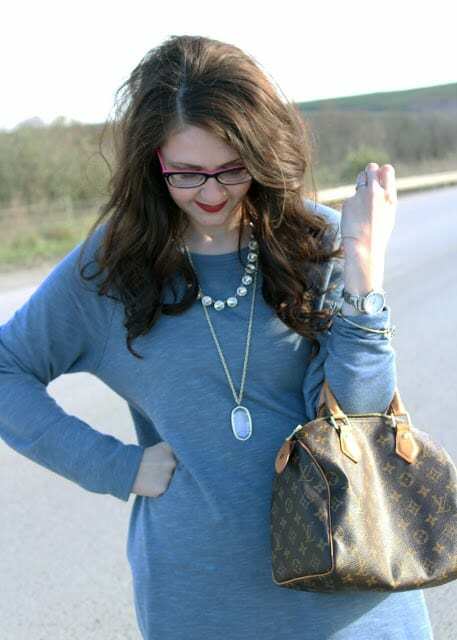 With a dress like this, I like to either wear just a long necklace or to layer a long necklace with a short one. I added the jeweled one for a little holiday bling. 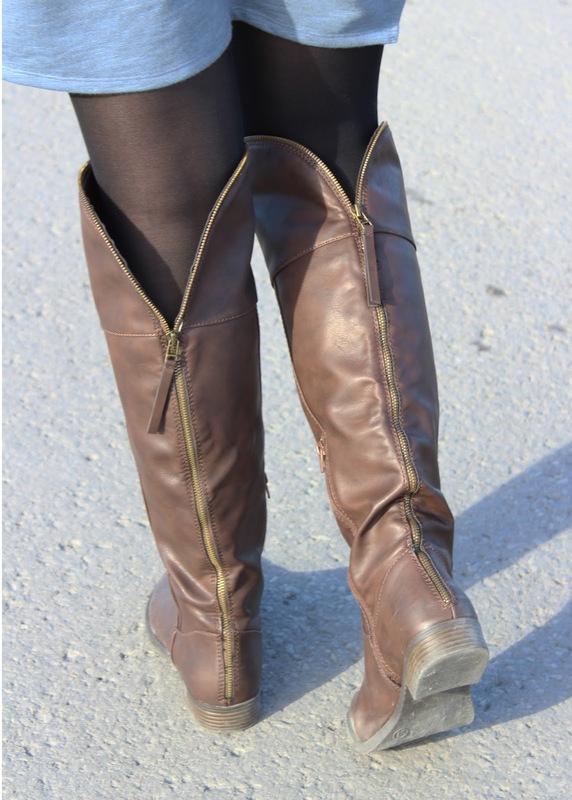 And these boots. . .if you’ve been looking for a pair of OTK boots at an affordable price point, then your search is over!!! My mom snagged these boots for me when they were 40% at Target a couple of weeks ago. Now, while that deal is over, it’s coming back for Black Friday (the dress will be 40% off too), so put them on your shopping list!